^^All checked in at the hospital! This was about 8pm on Saturday night…clearly I was not having a contraction when this photo was taken, ha! ^^While trying to document the evening, Blake snapped these photos taken within seconds of each other…feeling great on the left, experiencing an intense contraction on the right. 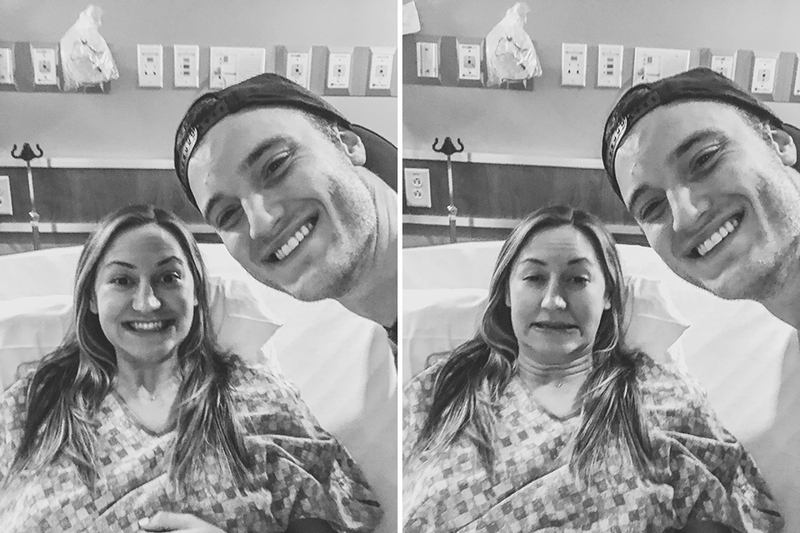 Also, that facial expression couldn’t be more accurate haha…contractions HURT! Not going to lie, it was pretty funny to go back into my camera roll and discover these two images…I definitely had a good laugh (…after the fact!). ^^Feeling absolutely INCREDIBLE after the epidural had set in. Prior to the epidural, I wouldn’t even look in Blake’s direction haha! Numerous times during early labor he would try to soothe me or remind me of breathing patterns during my contractions…to which I’d respond with a hand swat and dagger eyes…lolz! ^^My mom captured this image and I sobbed when she showed it to me a week later. Ohh my heart is bursting with so much love! That itty bitty hand hold. Sweetest moment of my life. At 40 weeks and five days, let’s just say I was very ready to not be pregnant anymore, ha! That last week was a big struggle…waddling everywhere, feeling extremely heavy, zero sleep due to discomfort. 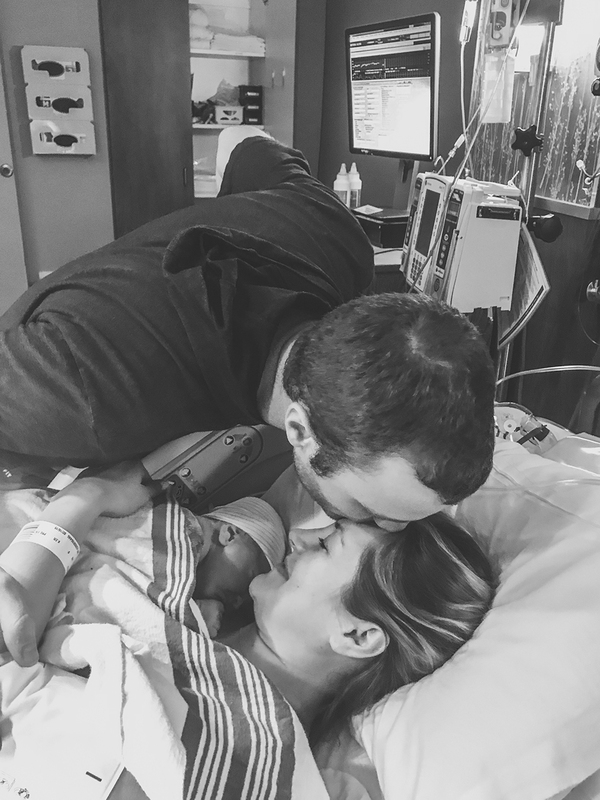 Not gonna lie, I cried a few times I was so miserable…it’s hard work being pregnant! I had my weekly OB appointment on Friday (we had Jude on Sunday), and I asked my doctor to do a “membrane stripping” to see if maaaybe that would move things along. 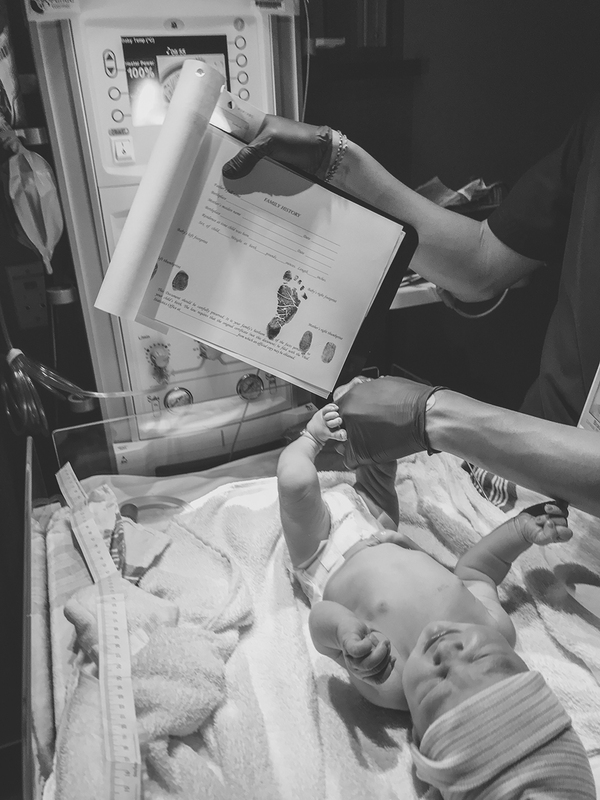 I was 70% effaced and only dilated to a 3, but I’d read through tons of forums and had been talking to my sister and sister-in-law about how getting membranes stripped can sometimes speed up the labor process. (…And apparently it worked!). 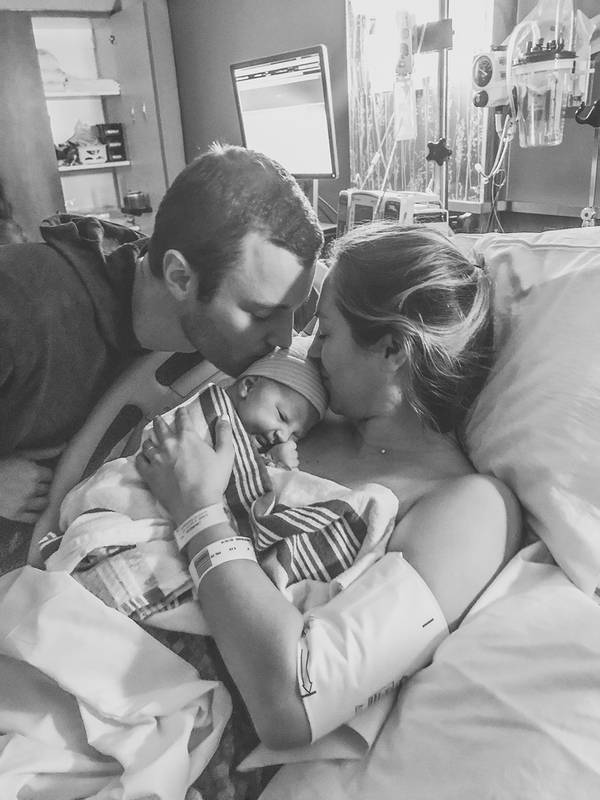 When Friday night rolled around and I hadn’t gone into labor, I’ll admit I was definitely bummed and very much considering inducing at that point…but I so badly wanted my body to do its thing and go into labor naturally…so we decided to wait it out a little longer. On Saturday morning I woke up with severe cramps – which is very normal after having your membranes stripped. Blake was getting ready to go play golf with friends and I had planned to stay in bed and in my pajamas all day haha. Then my mom called and said a few folks from my fam were planning to go eat ramen for lunch…and given my preggo status (…and my love for noodles in general), I quickly got up, put on my leggings and an oversized tee (my pregnancy wardrobe at the end haha) and was ready for some spicy soup! (Side note: Blake and I had this ongoing conversation about what the “final meal” before labor would be. We must have had 15 final meals, haha! At 38 weeks onward, every day we were going to eat our “final meal.” It became this joke because after so many, I was STILL pregnant, ha!). Long story short, special shoutout to Ramen Tatsuya for THE best final meal I could have ever imagined. Perhaps a giant bowl of extra spicy soup is what actually got my labor going, ha. Also – our server was so sweet and said he had a feeling today was THE day to have a baby…can’t wait to go back when Jude’s a little older and tell him he was right! *Unrelated/related backstory* – If you follow me on Instagram, you likely have seen me talk about my daily walks as a big part of my pregnancy. My sister lives 10 minutes away, so we’d go on these walks together. It became daily therapy to have a workout buddy, but also someone to talk to for an hour (…sisters truly are the best!). It was so fun and I always looked forward to these strolls. Kimberlee (my sister) got hired by Southwest Airlines as a flight attendant a few months back and they scheduled her training for mid-January into mid-February…she had training in Dallas and wouldn’t be home until February 15th (…and I was due on Feb. 12th). I was so sad when I found out she wouldn’t be at his birth because I wanted her and my mom in the room with us during delivery! It was also unfortunate to go on my walks alone…waddling along, sometimes nearly peeing my pants while sitting down on the curb hoping it would pass (…and not having anyone to laugh about this with, ha!). Aaand back to Saturday: My sister graduated from training and made it home on Friday night (so proud of her!! )…and came with us to lunch on Saturday. She was driving me home and asked what I’d planned to do the rest of the day…and the only thing on my agenda was to go on a walk. Kimberlee borrowed some sneakers and came along with me…and it honestly could not have been more perfect. Thus, we set out on our usual route in my neighborhood and about halfway through, I started telling her my stomach and back were really aching. 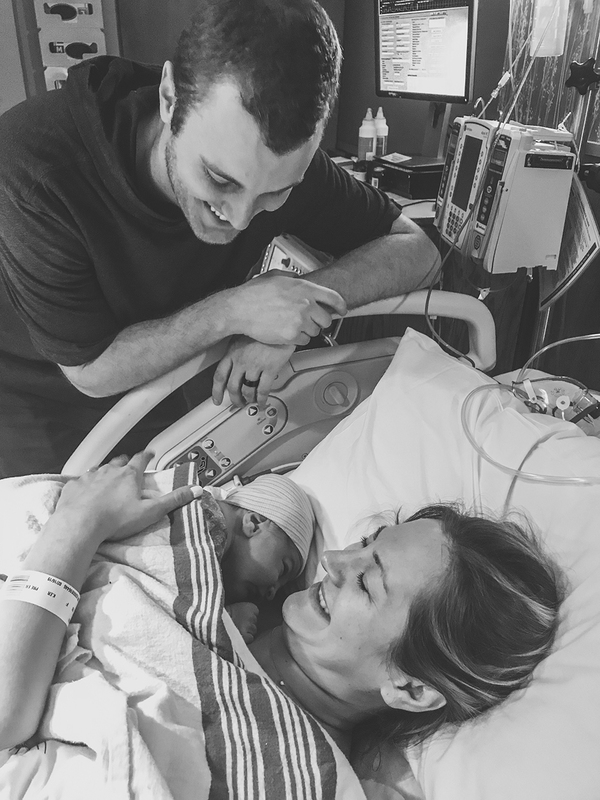 This is my first baby, so I didn’t know what contractions feel like…and I’d already had a false alarm a few weeks prior (…causing Blake to rush home from work…aaand I was not in labor haha), so I didn’t want to be presumptuous. After a few blocks the pain got so bad I was stopping to take some deep breaths, and that’s when she started timing the contractions. By the end of our walk, they were five minutes apart. By the time they got to be four minutes apart, I called Blake and my mom and said I think it’s really happening! Blake rushed home from golf (…glad he was on his last hole…not sure when he’ll play a full 18 again, ha! ), we grabbed our bags (…that had been sitting by the door for two weeks…) and took off for the hospital. 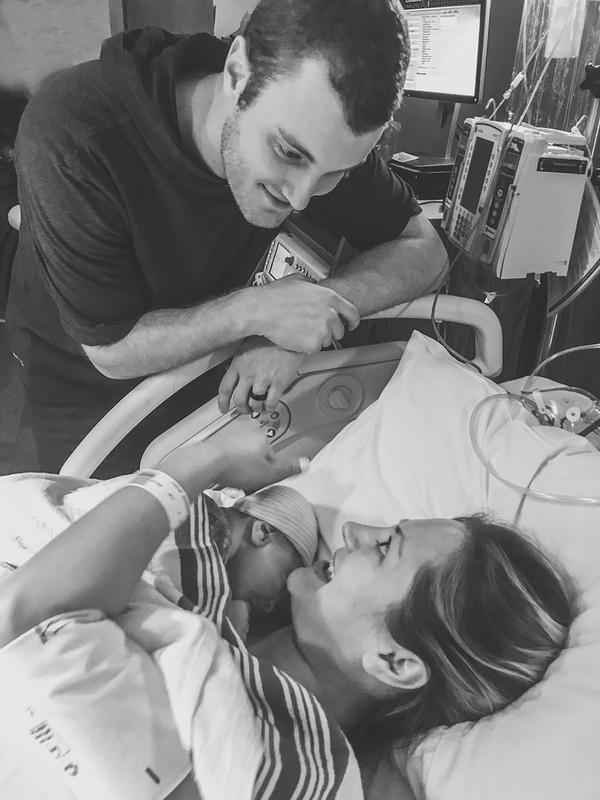 Once we parked in the hospital garage, the contractions were significantly more intense – so much so that I got out of the car and had to grab the nearest railing and hold on for dear life just to get through it! Little did I know it could get worse…haha ah! 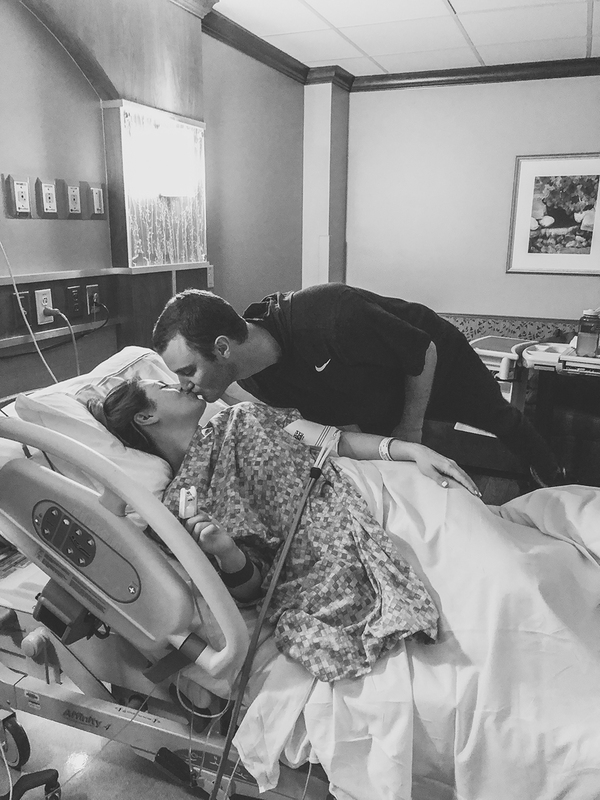 Once we were admitted to the hospital and placed in a delivery room, the nurse let me know I needed to have multiple bags of penicillin and a hydration before getting my epidural because I tested positive for Strep B. (One in four pregnant women have Strep B). 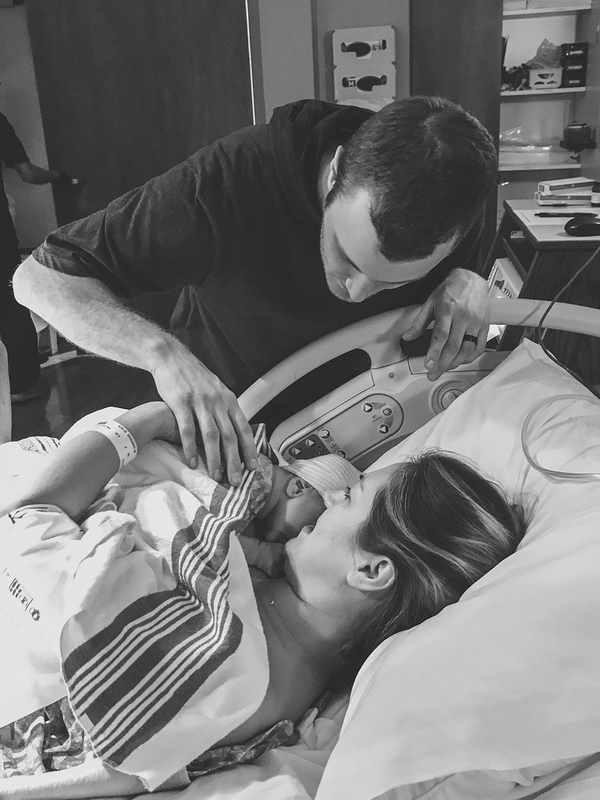 Thus, those contractions just kept coming faster and stronger and not gonna lie, they were seriously excruciating (I was crying and throwing up they hurt so bad…it was crazy pain) – and it wasn’t until they were hitting every minute and 15 seconds that I was finally able to get the epidural. Which, OMG IS HEAVENLY. 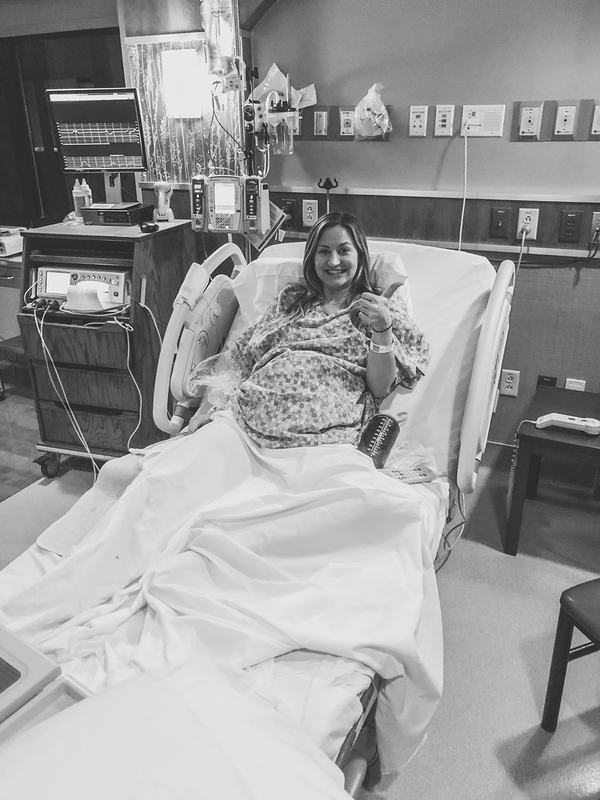 It didn’t hurt at all (…in fact, no part of labor or postpartum compares to the pain of those final contractions!) and within minutes it started working (…and I could finally look in Blake’s direction again haha). At this point, I was dilated to nine centimeters. My nurse had me alternate laying on my left and right side for two hours to make sure the epidural would set in, then I would start pushing. I was so relaxed at this point (…and tired!) that I even took a nap haha. During this time, my mom and sister made their way to the hospital and were ready for delivery with me and Blake! My nurse (her name was Micah and wow, she was phenomenal!) did a final cervix exam and said it was time to start pushing. We (I say “we” because it took a village…the support of Blake, my mom, Kimberlee and our nurse!) pushed nine times before Micah called my OB to come into the room. Once he arrived, I pushed three times and Jude started crowning…and my OB immediately told us he’s a blondie, haha! We were all giddy and laughing – we’d waited so long to find out all the little details about him! After three more pushes, Jude was HERE! 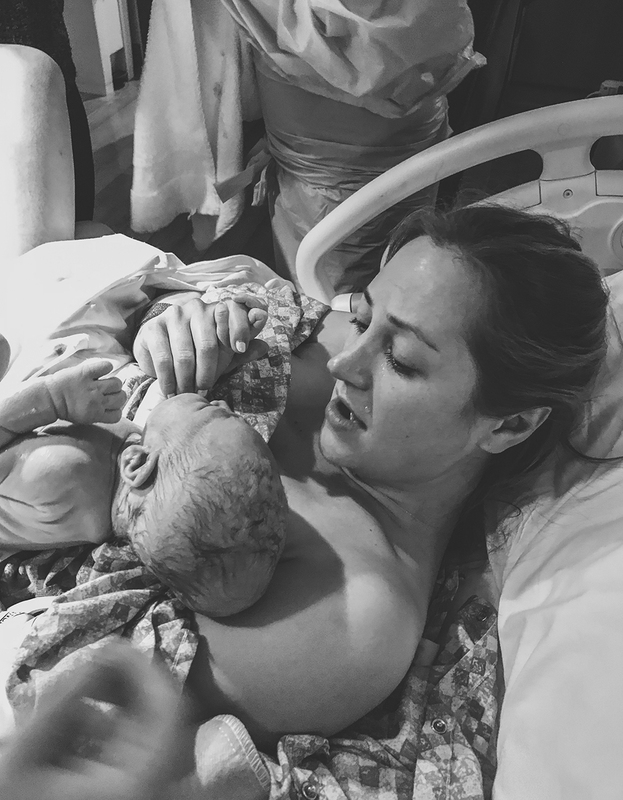 The doctor held him and placed him immediately on my chest…and it was the most surreal feeling…like I was floating and feeling nothing but pure bliss. Smiling, crying, laughing, exhausted, energized…all of it. 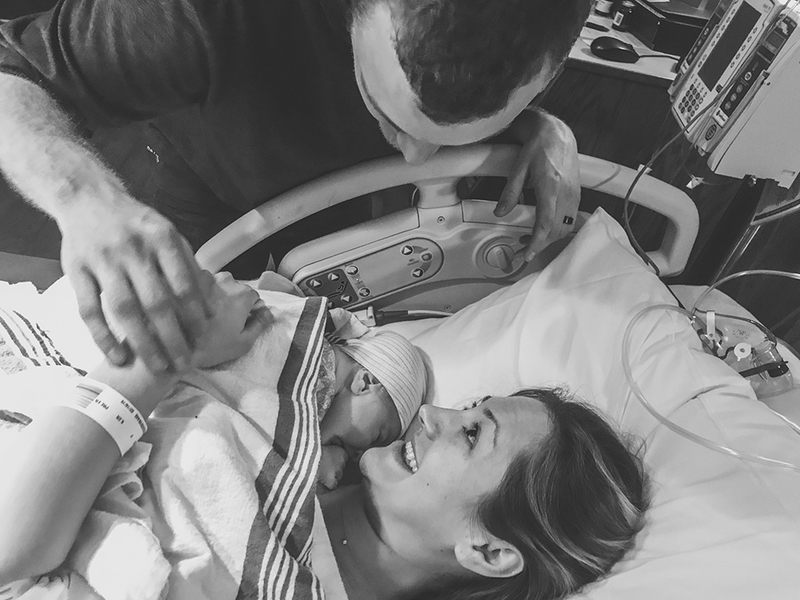 At the time, my mom took a video of me holding Jude and talking to Blake and it was crazy to watch it weeks later – I don’t remember anything that was said, just that dreamlike, beautiful feeling of meeting your baby for the first time. I daydreamed about this moment my whole life – and especially during the last nine months. Who would he look like? What would his demeanor be? Would he have that yummy baby scent? Would he like me? I got my answer to those questions within minutes. 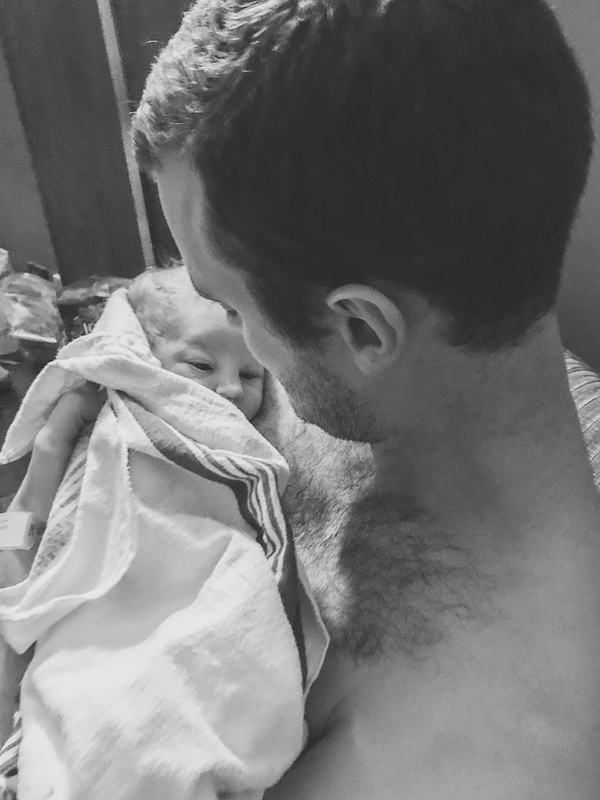 Blonde hair (like his dad), olive skin (like his mama), the most calm demeanor, that delicious new baby smell and though he cried when he came out into the world, he immediately stopped when he heard my voice. Ohh my, there’s truly nothing like that feeling. I can close my eyes now and think back to that moment…tears welling up as I type this. My life is forever changed. I am a mom – I have a son! So grateful for this angel we’ve been blessed with. 7lbs 7oz, 21 inches. Our Jude, you are so loved. Thank you to everyone for your support and sweet messages over the last three weeks! 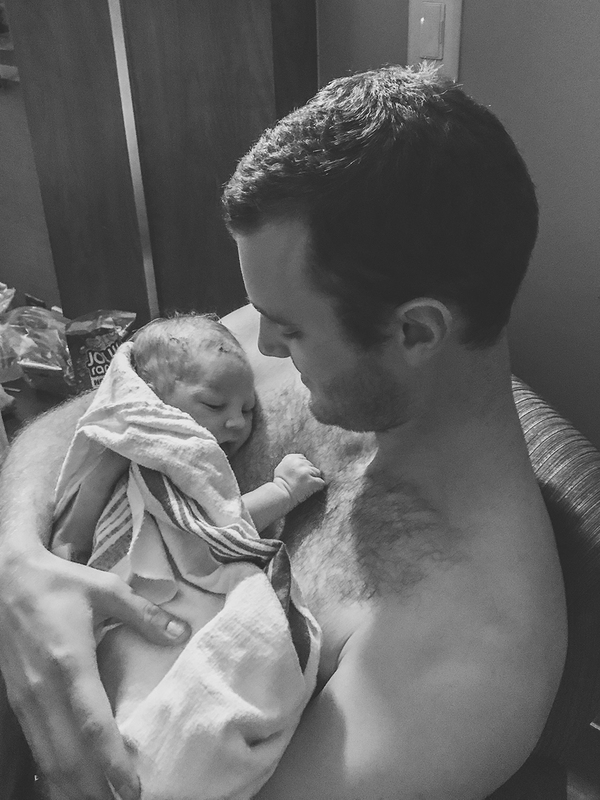 We are taking life slow over here and soaking up every fleeting second with our little guy. 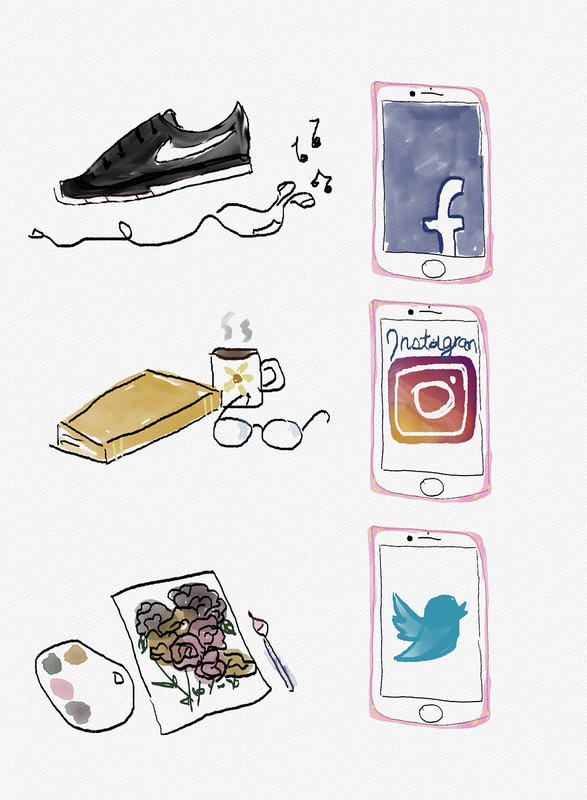 I’ll be posting a lot less these next couple of months as I get into this new mom groove – I appreciate your patience with me! Big hugs, XO. Congrats mama!! It’s truely the best feeling in the world when you meet/hold your little one for the first time. If only time could slow down now because they grow too quickly! Cherish every millisecond! I got goosebumps reading this, Olivia! There is truly no life experience like giving birth. It’s so hard and painful and scary and exhilarating and magical! I still remember the moments when Lucy was placed on my chest. So special. I’m so happy for you – congrats! 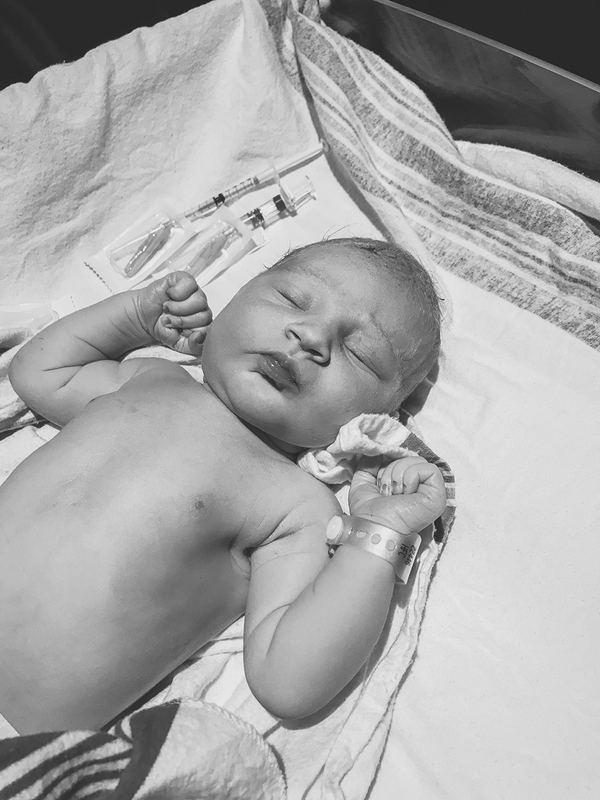 PS You made it to 9cm before the epidural…WOW! CHAMP! Gorgeous post, Liv! Really helps illuminate how intense and scary and overwhelmingly beautiful this process is. Love hearing it all from you. THANK YOU, Mama! Ugh so many chills reading this. SO SO happy for you Olivia! Enjoy your new baby! He’s so precious. I’m in college and no where near a baby-having age (in my life at least!) but have still never really wanted to have a baby of my own. But I want to want to, if that makes sense, and stories like yours are incredibly beautiful, sweet, and have so much heart that they are definitely inspiring some thinking haha! Congrats congrats congrats and I hope you love every second of watching him grow up. You’re awesome!! He is beautiful! Your story made me tear up! I’m so happy for you and your hubby…you three are the cutest little family! I’m so happy that Kathryn was able to come see you and meet sweet Jude! Omg, congratulations! What a special experience. I’m so happy for you and your family! Congratulations Mama!!! Baby Jude is so beautiful and you all are so loving and lovely! I am currently 40 weeks + 2 days and I hear you- daily leggings and oversized T (how I miss the front tuck and jeans!) and waddling everywhere and every day to get things moving. Crying and not sleeping. Nervous and anxious. Another helping of spicy curry. Annnnnd still nothing…. Cannot imagine 3 more days of this but your strength inspires me!